Our Seventeenth e-newsletter will be lovingly crafted by me over the next few months. As always I rely on the generosity of our members for the contributions that will fill the pages of our Winter 2018/19 edition. 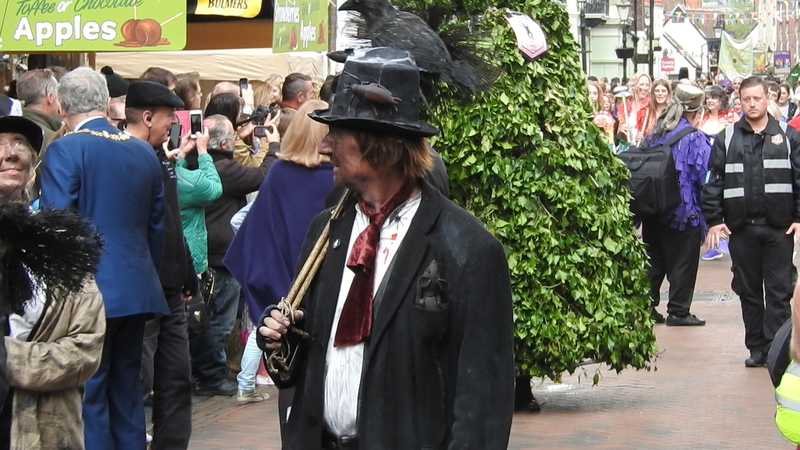 We welcome any contribution that has a connection with the subject of The Green Man or the Jack-in-the-Green: Articles, poems, pictures, sightings, short (or long) stories, reviews, songs…etc. etc. As this year celebrates 20 years of The Company of the Green Man I would love to hear from members with their memories of our founder Ronald Millar. Any items for inclusion in the Winter e-newsletter should be with me by December 1st please. If you are not yet a member and would like to join The Company of the Green Man just click on the “join us” tab above and follow the instructions. It’s been a great year for the traditional Jack in the Green with 17 confirmed so far. 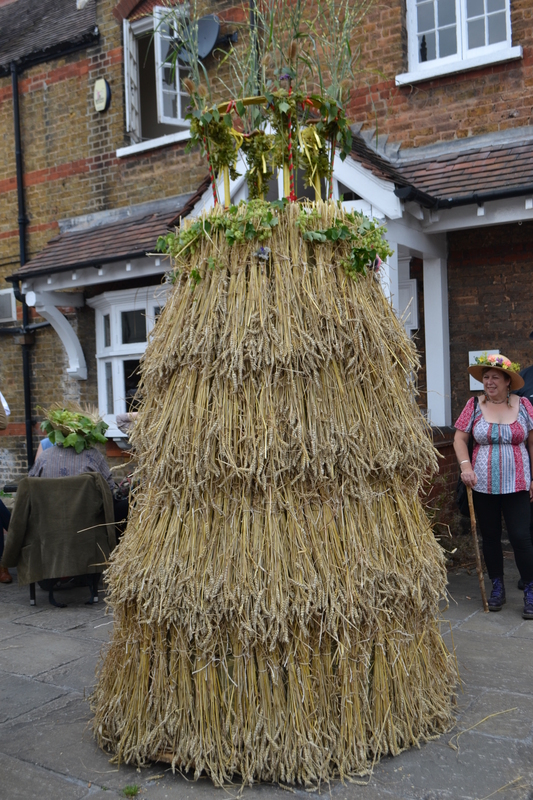 The magical Carshalton Straw Jack will be parading on Saturday 8th September this year. 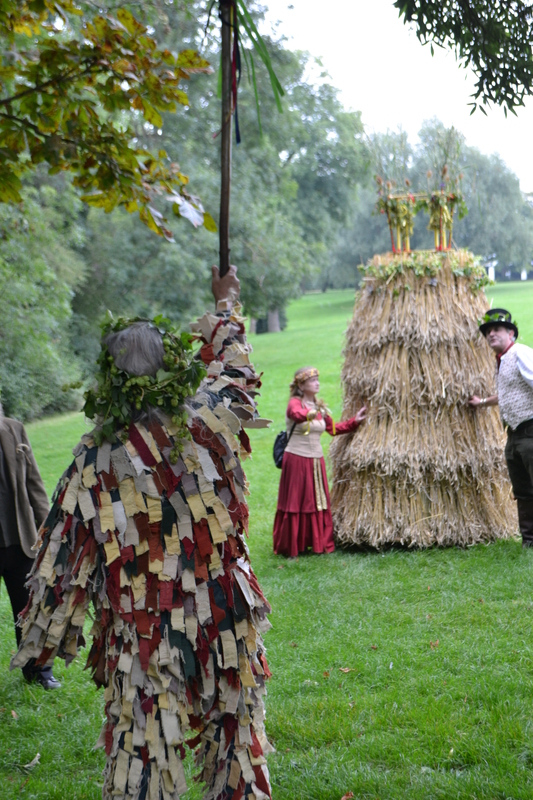 A Celebration of Harvest the Carshalton Straw Jack is ritually stripped in the evening so that all present can take a keepsake and then he is burnt in a brazier. It is hoped that he will be burnt as a complete figure one year. I had really hoped to head over to Carshalton to see their Jack at last this year but unfortunately I won’t be able to make it. If anyone out there is going or if any of the organisers or participants read this please do send me some pictures for our archive and blog. I would really love to get in contact with the organisers to get a bit more detail about the history of this unique Jack. Approximate route and times, will change! I still can’t quite believe that 2018 marks 20 years of The Company of the Green Man! 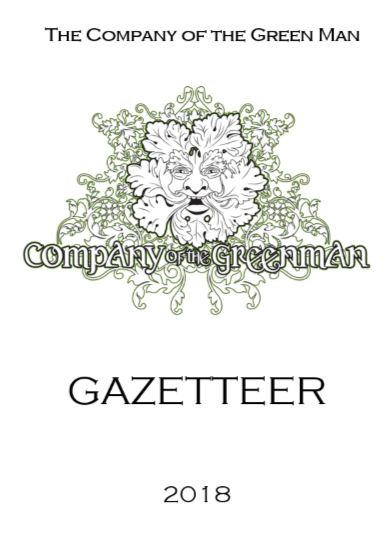 Ronald Millar wrote the book “The Green Man Companion and Gazetteer” in 1997 and in a note at the back of the book invited interested people to join The Company of the Green Man. Keen and eager upon reading his freshly printed book and with an avid interest in Green Men I wrote to Ron in early 1998 and asked to join the Company, to be told that I had caught him slightly unprepared. The book had gone out earlier than he had anticipated and the Company did not yet officially exist. And thus (with a little bit of encouragement) in 1998 The Company officially began. Ron’s first newsletter was published in September 1998. 20 years and 43 newsletters later The Company is still going strong with nearly 800 members worldwide. I would like to take this opportunity to thank all of our members and followers for their contributions and encouragement over the years, without you The Company of the Green Man would not exist. “Cornwall is an ancient land steeped in legend and myth. From Granite to Sea explores the folklore of the often-overlooked eastern reaches of the rugged Cornish peninsula, at the heart of which lies the mysterious upland of Bodmin Moor. This beautiful and remote land of granite, which forms the Cornish highlands, inhabits eighty square miles across the central spine of eastern Cornwall. A wild and mysterious landscape, where folklore permeates every hill, rock and river. Inhabited by piskies, giants and conjurors, who in turn control the old trackways, hilltops and weather. It is a land haunted by the wild hunt of the Devil’s Dandy Dogs and the demonic spectre of Tregeagle.